With our sunny weather and love of the great outdoors, it’s no wonder that sunscreen and after sun are some of the most important products in our bathrooms. Show your employees and clients that you care by providing them with branded sunscreen products – they are designed to protect the skin from harm and help to reverse any damage that may have been done. All of the personalised sunscreen bottles and products in our range meet relevant Australian requirements and are a minimum SPF 30+. 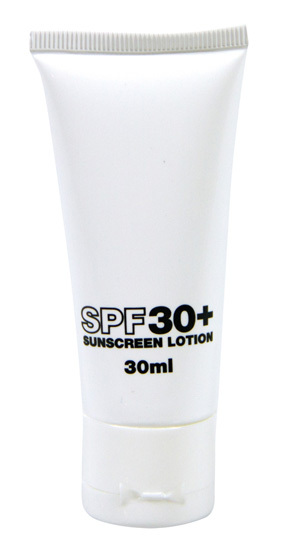 We can also supply SPF 50+ products in you’re looking for even stronger protection. Custom sunscreen has proven preventative uses against sun damage (including skin cancers, like melanoma). Australia, in particular, is prone to damage from the sun’s rays so ensuring that you’re protected is a must. Novel Tees can supply a range of sunscreen promotional products, including: tubes, bottles, pump bottles and promotional sunscreen satchets (also known as single use). 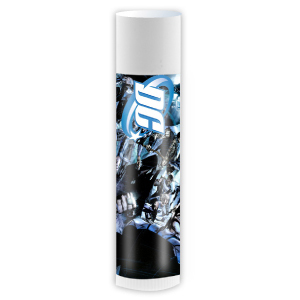 We also supply a range of lip-gloss and lip balm in tubes and pots.